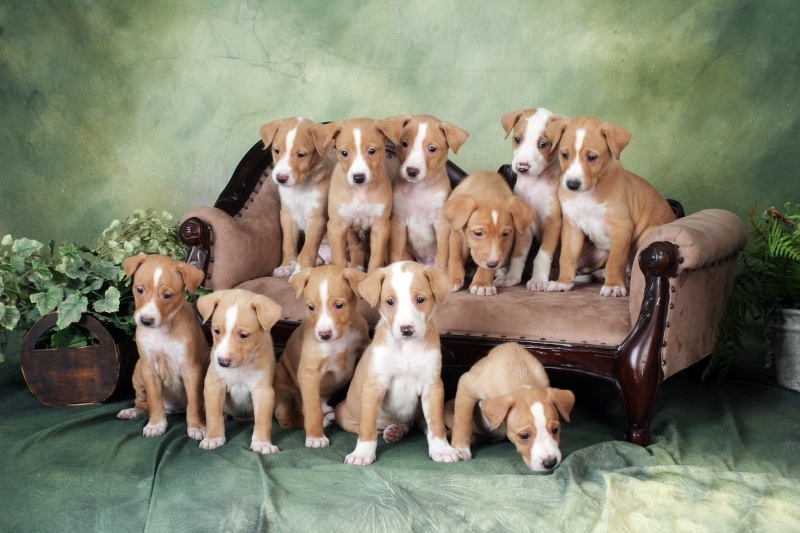 Several Male Portugues Podengo Grande puppies are available from the first litter born in the United States. are there any wired hair puppies in the litter? No these are all smooth. Where do you live? There are several wire grande females in AZ but not sure if they are for sale - there are several wire medio puppies in Ohio. It will be a while before there are wire grande puppies in the US - The first ones imported to the US have only been here a month or so. If you are in Portugal however I can connect you with some breeders there. You might want to go to the club website to look at more information: www.podengo-mediogrande.com Individual breeders have links there and there are available adults and puppies also posted there. Who has wire puppies in Ohio? I have some in Michigan? oops Allison - for whatever reason I have it in my head you are in Ohio and not Michigan - it was indeed your puppies I was referencing.